"Q & A with Dr. Q"
What is the Best Way To Do a Spring Detox? Detoxes or cleanses are often misconstrued as a quick weight loss mechanism. I treat a detox like hitting the reset button on the modem or restarting the computer. In this case the computer being my diet. ​It's an easy way to get back on the healthy track when you've strayed. I chose to do this detox after my son was born, a time of both extreme happiness and stress. I was getting less sleep, and my eating habits definitely took a temporary dive. This was a stressful time and I'm sure my decreased nutrition and changes in hormones had me feeling less energized, sluggish even. Making me less productive at home and work. This then carried to even occasional feelings of gloominess at times. At this point I knew it was time to hit the rest button. I asked a colleague at work about a detox she was purchasing and I thought, "Why don't we do it together." We referenced other popular cleanses and customized them to our preferences and to add more nutrients. We also decided that we would be making our drinks using the entire fruit and vegetable, not just the juice. This was important to me since most juices are sugar and water and lack valuable minerals, nutrients and fiber. By making the smoothies at home, it costs only a fraction of what it would if you were buying the juices at the store or smoothie shop. For a total of $75, opposed to paying $65-80 per day for juices, I was able to buy organic fruits and vegetables and make enough shakes for 2 people for 5 days. The amounts of each ingredient may vary, adjust to your taste! I made the shakes at home with my Nutribullet. The organization of our cleanse consisted of 4 smoothies (3 hours apart). Coupled with a large salad consisting of lettuce, mixed greens, spinach, mixed nuts, seeds, finished with a drizzle of olive oil & vinegar to complete the day and keep from late night snacking! Experiment with recipes and discover what you and your family like! Enjoy your smoothies, and send your questions to norwalksportsandspine@gmail.com for our next Q&A! 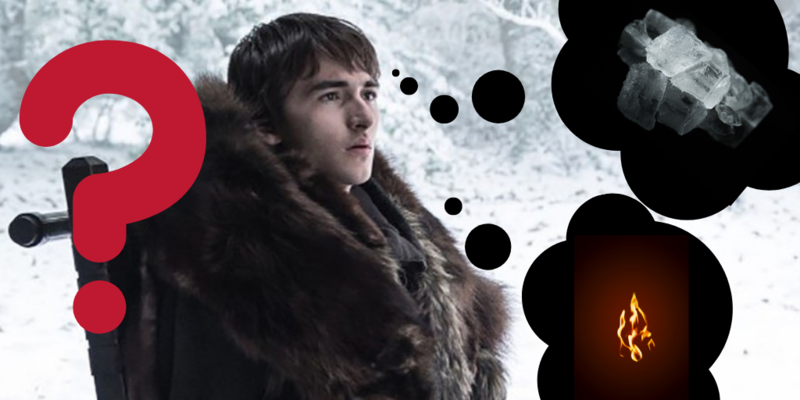 This weeks Q & A was inspired by Game of Thrones! Lots of us are excited for the final season to begin. If you have dragons and sports medicine on your mind, read on. 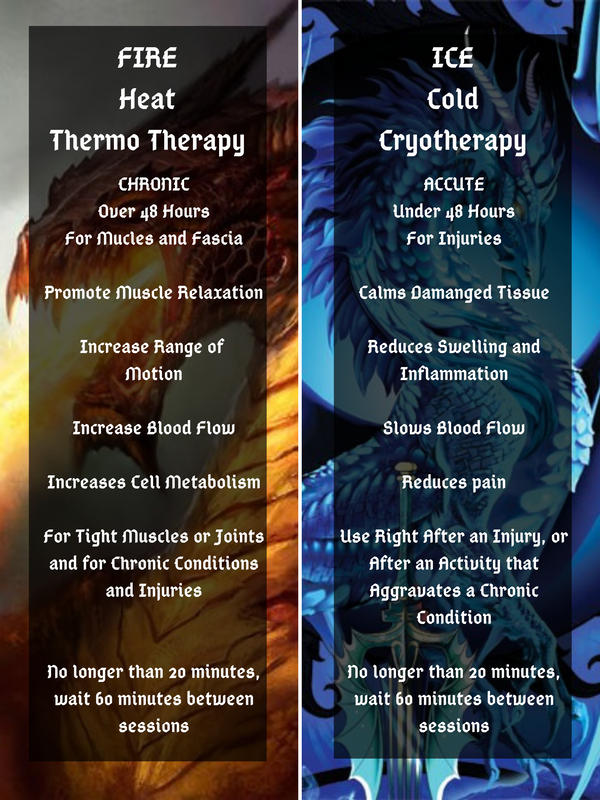 Q: Should I use FIRE (heat) or ICE (cold) treatment? A: Did you tweak a hamstring in the battle of Winterfell? Do you have neck pain after a long day of combing over old tombs in the Maester's library? Do you get headaches every time you Warg with your wolf? Read on and the choice will become clearer than a green dream. Letâs start by taking a look how heat and cold affect the tissues in the body! Heat is best for... Chronic conditions, sore muscles, stiff joints, and overall relaxation. ICE/Cold/Chryotherapy on the body will.. Therefore, ICE is best for acute (new) injuries such as twisting your ankle, strained muscles, or back spasms. You should also use ICE after an activity that aggravates a chronic injury. The goal is to reduce swelling and keep the injury from getting worse. Donât apply ice for longer than 15-20 minutes at a time. This may trigger the âhuntingâ reaction. A protective mechanism in the body designed to prevent frostbite. Longer periods of cold are only effective for Wights, The Others, and White Walkers. "Don't waste your money on an ice pack. Buy a frozen bag of peas, which will serve a triple purpose. It is effective cryotherapy for your injury, it will also act as a timer (by the time the peas melt it will be time to stop your cryotherapy), and then you have a healthy snack afterwards!" Within 24-48 hours of an injury, sprain, strain, or spasm, you will want to ice it. Apply cold no more than 15-20 minutes at a time to decrease swelling and inflammation to keep the injury from worsening. Wait 60 minutes between treatments. After 24-48 hours, after the swelling has gone down post-injury or for chronic conditions, you will want to use heat. We recommend applying heat no more than 20 minutes at a time, and wait 60 minutes between treatments. Follow instructions for your hot pad or heating devices to keep a nice even temperature that will to increase circulation, tissue pliability, and cell metabolism for healing the injury over time. Still in doubt? Go with ICE. Although heat has more therapeutic benefits, you can do more damage when applied in the wrong situation or instance. Therefore, there is more room for error with ICE. Be cautious, as you can burn yourself with either. That is our secret, we can only be victorious in our health and wellness treatment plans if we use fire AND ice! Have a great week! Send us your questions for next time to norwalksportsandspine@gmail.com! Could My Backpack be Causing Spinal Problems? A: The answer is… Probably! Let’s be honest, most of the time the answer is yes. 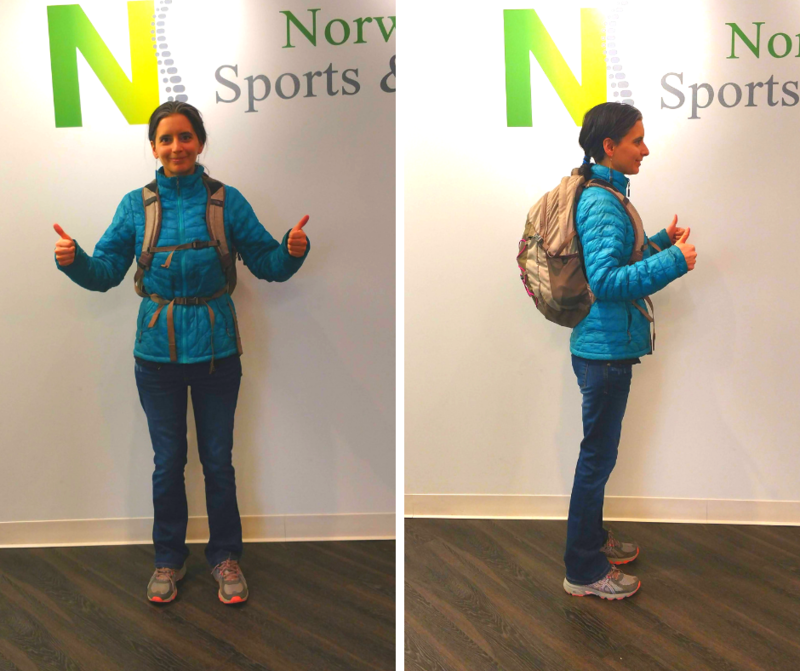 Even if it is not the root cause of your back pain, wearing a backpack incorrectly can seriously worsen other conditions such as disc herniation, scoliosis, hip and shoulder disorders. Most people wear backpacks improperly, or are overloading their backs. How heavy are our backpacks? School books are just the beginning of spinal stress for students, most of whom are doing extracurricular activities. Imagine a 30 pound backpack, a tuba, a poster board presentation, and a soccer bag that all need to be transported to and from school! How heavy is ‘too’ heavy? Yikes, textbooks add up fast! Most parents are not checking to see if their kids backpacks are weighing too much, and few students are self monitoring their posture or the weight they are carrying. They merely accept whatever the coarse-load demands of them. In addition these same students spend a lot of time studying at a desk or computer, most of their day encourages a slouched, leaning forward posture. Schools are slowly changing with the times, some students have options to have electronic books, or share books at school so they don’t need to carry so much. Each situation is different, but most still need to carry all their books, and do their best. Correct posture: Spine is straight, shoulders are even, hips are even. Straps are used so that weight is evenly distributed between the hips and torso! Notice how the spine is straight, shoulders are even, hips are even. The straps are used so that weight is evenly distributed between the hips and torso! 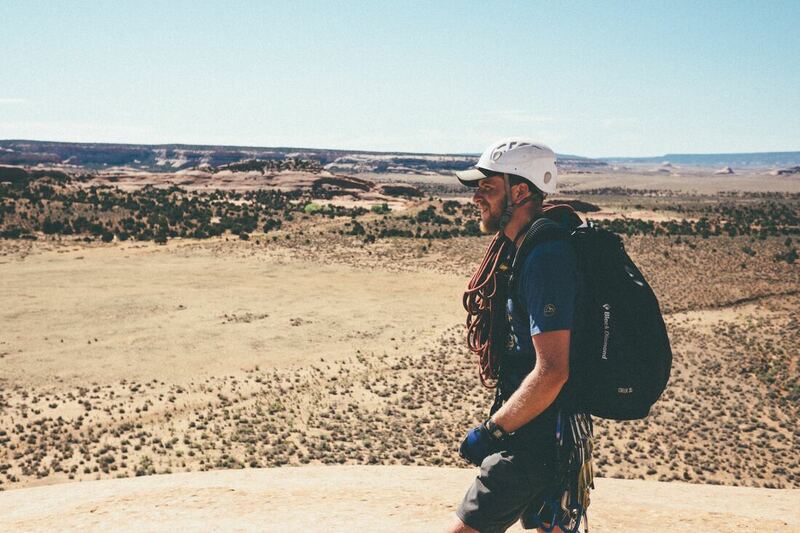 This is the part that most kids want to skip, but if you look at climbers, hikers, military, they all use straps with their packs to distribute the load properly, this helps them move more freely and prevent injury! Most students spine are in the process of growing! Teens are experiencing their growth spurt, some don’t finish growing until their 20’s so this concern even applies to college students. 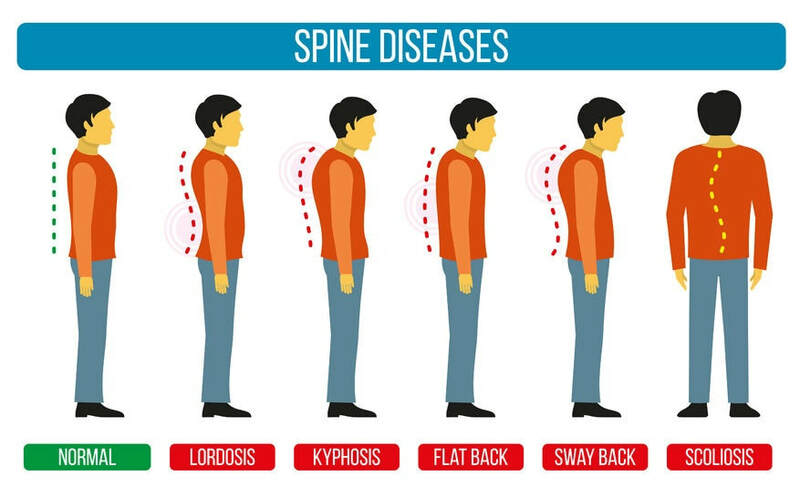 The spine is supposed to be extending upwards as it grows There is a normal amount of curvature within the spine, but not too much (which is called Kyphosis in the thoracic spine and Lordosis in the lumbar spine). Nor is it supposed to grow into a twist, or a side-to side bend (Scoliosis). If we load up the back, and twist the spine because of weight, every single day, over time we are encouraging the spine to grow in a curve or twist. It much more difficult to correct posture later in life. What can we do if our children seem to be suffering from posture problems related to their backpack? 1) Lighten the load. Two sets of textbooks, electronic textbooks, sharing books with friends. Talk to teachers and administrators to work out viable solution for your child and the other students! 2) Corrective stretches and exercises, as well as regular participation in activities that encourage correct posture and body mechanics such as yoga, dance, martial arts & climbing are all great examples. A: YES! Acupuncture is a wonderful modern modality with ancient roots. Are the needles safe? Is there a chance of infection? All needles are sterilized solid stainless steel, and once used, are properly disposed of. The practice of acupuncture is completely sanitary and safe. The needles are expertly and quickly inserted into the skin and and superficial fascia. Most people do not feel much when the needles are applied. While the needles are inserted you might feel the muscle ‘jump’ or ‘let go'. This would be the desired effect to relax the muscle. This is known as fasciculation or "Da Qi". It is a small, local, involuntary muscle contraction and relaxation which may be visible under the skin. Fasiculation may also happen as the needles are being removed, you may feel the skin 'pull' on the needles, and afterwards the area or muscle will feel released and refreshed. During the treatment it is best to relax, listen to the music, breath deeply, and feel the tension and stress leaving the mind and body. There are different styles of acupuncture such as TCM (Traditional Chinese Medicine), Five Element, and Meridian or Japanese style. Our Acupuncturist, Rochelle, has been trained extensively in both TCM and Japanese Style. Japanese style uses finer needles with a shallow insertion and very little to no manipulation. Rochelle will customize your treatment on an individual basis depending on many factors. 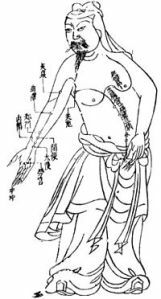 Earliest documentation comes from The Yellow Emperor’s Classic of Internal Medicine dating from about 100 B.C.E. Acupuncture then developed more extensively over the next few centuries. It was implemented and supported by the use of massage, diet, herbs, and moxibustion. Acupuncture is part of Traditional Chinese Medicine (TCM), a system of medicine that dates back thousands of years in development and practice. Other types of TCM treatments you may have heard of include Tai Chi, Tiu Na, Qi Gong, Chinese Herbal Medicine, AMMA Therapy, along with many others. TCM is considered a whole medicinal system, and is designed to address any complaint the patient might have be it physical, emotional, or energetic. This is unlike western medicine, where conditions are treated separately and practitioners compartmentalize disease processes. TCM can be a great compliment to western medicine, addressing the more abstruse parts of our health and giving us a sense of interconnectedness. People seek acupuncture treatment for pain management (both chronic and acute pain conditions), athletic performance, relaxation, fertility, mood disorders, to aid in recovery from injuries, surgeries, and so much more. You can ask the acupuncturist to address as much or little as you like. In the consult the acupuncturist will take time to hear out your concerns, create a treatment specific to you. No two treatments are alike. Needles going into my skin can treat tendinitis, headaches, and anxiety? That sounds a little… magical… What is the science behind Acupuncture? Acupuncture and other alternative medicines are currently facing scrutiny in western cultures. Though this scrutiny has propelled an ever increasing number of scientific studies to further validate there efficacy. We are happy to report that studies on Acupuncture are supporting what TMC practitioners have been saying all along. ​Why are they asking to look at my tongue? Tongue diagnosis is a tool in TCM for thousands of years. The texture and color of your tongue are indicators for the practitioner. They also might do pulse diagnosis, inspect your posture, and other tests to evaluate your health and energy. Can you explain a little bit of the theory? TCM sees the human body not just of physical parts, but of energetic parts. Energy moves through the body in meridian channels. It comes down to balancing our Yin and Yang, balancing our five elements (Fire, Water, Metal, Wood, Earth), balancing our meridian pathways that this energy moves within (Lung, Large Intestine, Small Intestine, Heart, Spleen, Stomach, Gallbladder, Liver, Kidney, Bladder, Pericardium, Triple Burner). By unlocking these pathways and balancing this energy, we become balanced and experience good health and a feeling of wellness. This is comparable to the concept of homeostasis in western medicine, which is the aim of all treatments. To bring the patient to optimal health and happiness. That seems very complex, who are acupuncturists? What is their training? Can anyone be an acupuncturist? I said I had a headache, why is she putting needles in my feet? Needles may be inserted in to distal points on the meridians to affect problems along any area of the meridian. For instance, a needle might be put in the are of the hand or thumb for a headache. The needle will affect the whole meridian. 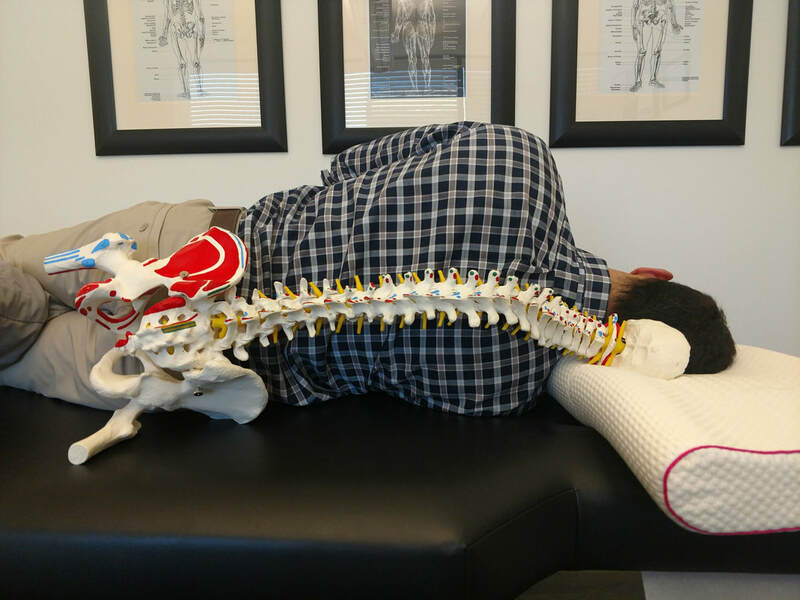 This is not an unfamiliar concept in the world of chiropractic and bodywork! When we talk about trigger points, pain referral, compensatory pain or symptoms, we are referring to situations where the source of pain and the problem are not the same. Feel free to ask your acupuncturist questions about their method or reasoning if you are curious, it is best to keep an open mind, relax, and see how you feel after the treatment. The Duchess of Sussex Meghan Markle is known to have received acupuncture treatments during her pregnancies. Kim Kardashian reports to use acupuncture for relaxation. Celine Dion thanks acupuncture fertility treatment in conceiving her twins. Jets fullback Tony Richardson, Green Bay Packers Quarterback Aaron Rodger, Olympian DeeDee Trotter, Tennis star Kim Clijsters, Basketball Star Lebron James, Olympian Michael Phelps all use acupuncture to enhance athletic performance and treat sports injuries. Sheryl Crow treated her breast cancer with acupuncture. Sandra Bullock requires Acupuncture as a perk stipulated in any production or set where she works. Will I know it works after one treatment? Talk to your acupuncturist! Call, email, or text us more acupuncture questions. We will answer them and your question may be featured in next week’s Q&A! Q: Which Foods Should I Definitely Eat Organic? Strawberries take the cake for the most pesticides found per sample compared to any other produce. 99% of sampled strawberries contained at least one pesticide, with 20% containing 10 or more. When it comes to spinach, about 40% of the samples contained DDT, a banned neurotoxic insecticide in the US. Nectarines contained at least two pesticides in 94% of the fruits tested. 80% of apples contained diphenylamine which is banned in Europe. On average grapes contain at least 5 different pesticides. When it comes to peaches 99% were positive for pesticide residue. It was found that cherries contain a potential cancer causing pesticide iprodione which is also banned in Europe. Pears were found to have fungicides and insecticides present. Celery and tomatoes contained multiple pesticide residue, some as many as 13-15. Potatoes had more pesticides residues by weight compared to any other food. Eating higher levels of pesticides can cause many different symptoms or dysfunctions. Some include fertility problems in women and men, cancers or diabetes, asthma, and decreased cognitive function. Trying to stay on a strict grocery budget? There is also a list of 15 foods that have had the lowest amounts of pesticide residue which are safer to consume non-organic. These are called the “Clean 15.” Keep in mind however that 70% of non-organic produce tested was positive for at least one pesticide. Avocados, Sweet Corn, Pineapples, Cabbages, Onions, Frozen Sweet Peas, Papayas, Asparagus, Mangoes, Eggplants, Honeydews, Kiwis, Cantaloupes, Cauliflower, Broccoli. For more information turn to the Environmental Working Group website. So next time you’re shopping at the grocery store pay extra attention to the Clean 15 list to better your health and the health of your family! Don't forget to send in your questions for our next Q&A! Q: What can we learn about Chiropractic through Black History Month? Hey everybody, Erica here with this week's Q&A. February is Black History Month, I thought I would endeavor to learn a little about more about African American History in the Chiropractic profession. I’m kind of a history nerd, and I thought this project would be a lot of fun. Well, I learned a lot! So for this week’s Q & A I’d like to share the story of Harvey J. Lillard, the man at the heart of the chiropractic story. 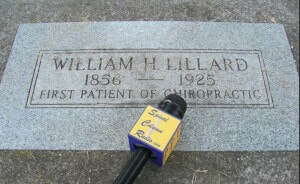 Harvey J. Lillard was the first chiropractic patient. The very first adjustment was performed on him, and restored his hearing. This is the miracle that blew up chiropractic interest, and established a lasting profession. 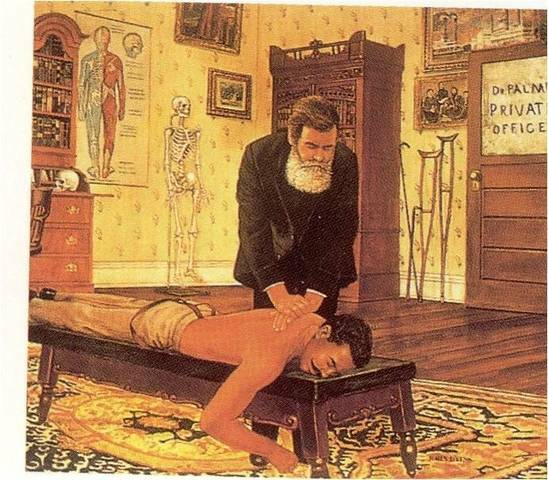 The founder of Chiropractic medicine was a man named Daniel David Palmer. Dr. Palmer was not yet famous when he met Lillard. At that time he was a small-time entrepreneur in Davenport, Iowa who was trying to make a living with magnetic healing and other popular modalities of that time. Lillard owned the custodial company that took care of the building where Palmer was renting his office. Palmer heard Lillard’s story of how he lost most of his hearing. An incident that apparently was accompanied by a strange ‘popping’ noise in his spine. “Chiropractic came into being because of my father. " Based on the story, Palmer came up with a theorized that the deafness was related to Lillard’s spinal alignment, and offered to work with him to invent a treatment. The first adjustment was in 1895, and it cured Lillard's hearing! This miracle story is the foundation of chiropractic medicine, it was used to market and legitimize the technique, which rapidly grew across the country and into an established medical profession. Little is know about the other details of Harvey Lillard's life. 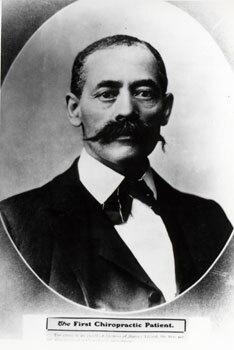 He had a wife and daughter, Lillard and his family left Davenport Iowa in 1907 and moved to Seattle. 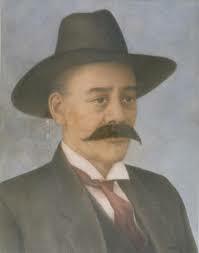 He was a deputy sheriff there until his death in 1925. Fun fact: He is buried in the same graveyard as Bruce Lee! His grave is much smaller than Lee's, but, if you enjoy chiropractic treatments and want to say thank you next time you are in Seattle, stop by the Lake View Cemetery and see Harvey. Sadly, despite working with Lillard on creating chiropractic, Dr. Palmer did not teach African Americans. The Palmer School of Chiropractic blatantly stated, `Negros not accepted'. All major chiropractic schools until the 1950's did not accept blacks or minorities. As you can see, Harvey Lillard's story was just the beginning of a rich, complex, and diverse chiropractic history. Check out this timeline to see a more complete list of events, notable figures, and facts about African American chiropractic history, check out the links below for further reading on this topic. Now we know who to thank for the chiropractic treatments we enjoy today. Don't forget to submit your own questions for us to answer! Send them norwalksportsandspine@gmail.com, your question could be answered in next week's Q&A! Q: What is the best pillow to use? A: This answer isn’t the same for everyone. No two people should use the same pillow. 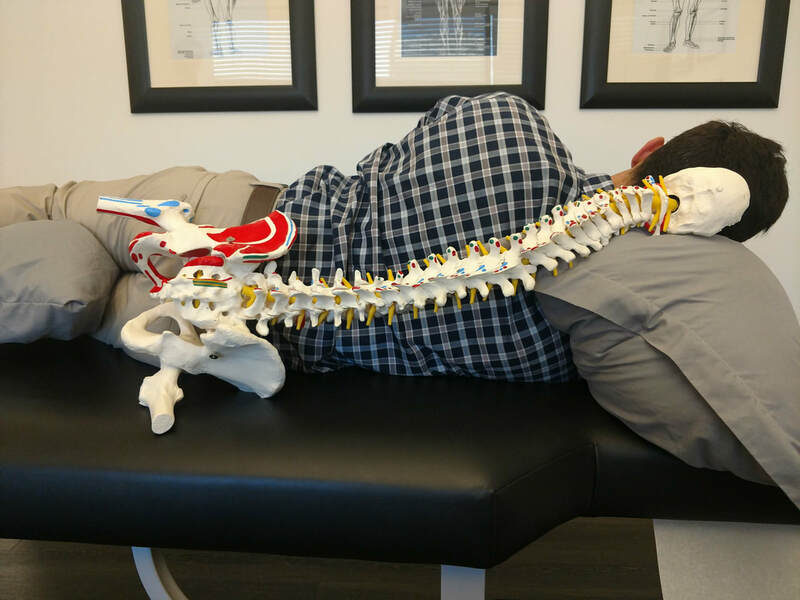 The point of a pillow is to support the natural curvatures of the spine and keep it aligned throughout the night when your body is in recovery and repair mode. Sleep position plays a significant role in the type of pillow you should use. As a general rule of thumb, back sleepers should use a thinner pillow to support the head and neck, while side sleepers need a slightly larger pillow to fill in the space between the mattress and head/neck due to the width of the shoulders. It is not advised to sleep on your stomach, as it is very detrimental to both your neck and lower back resulting in pain, headaches and numbness or tingling in the arms/legs. The best way to sleep is on your back on a firm mattress which allows the spine and surrounding muscles to decompresses overnight. This also supports the natural curves of the spine and doesn’t compress any of your joints. A close alternative to sleeping on your back would be your side with the use of the proper pillows to support not only your head and neck but also your hips and shoulders. Sleeping while holding a pillow in front of you and another between your knees will allow your shoulders and hips to stay aligned, along with the spine. Neck: Your neck is forced to scrunch up and tilt downward on one side. Compressing the spinal facets and impinging nerves, blood, and muscles on this side. The other side is over stretched, and can weaken the muscles there. Over time this can create limited range of motion, neck pain, headaches, numbness and tingling in the arms, weakness, and other complications. Shoulder: Your lower shoulder is taking all the weight of your upper body. Compression of the glenohumeral joint can cause problems in the labrum, bursa, tendons and muscles of the arm and scapula, not to mention strain on the very delicate AC joint and clavicle. Spine: Your spine is is forced into an awkward ‘S’ shape. It is forced to dip down from your hips in the lumbar spine, then up over your shoulder (which remember, is bearing all this weight), then curve down again as your head weighs it down the other way. 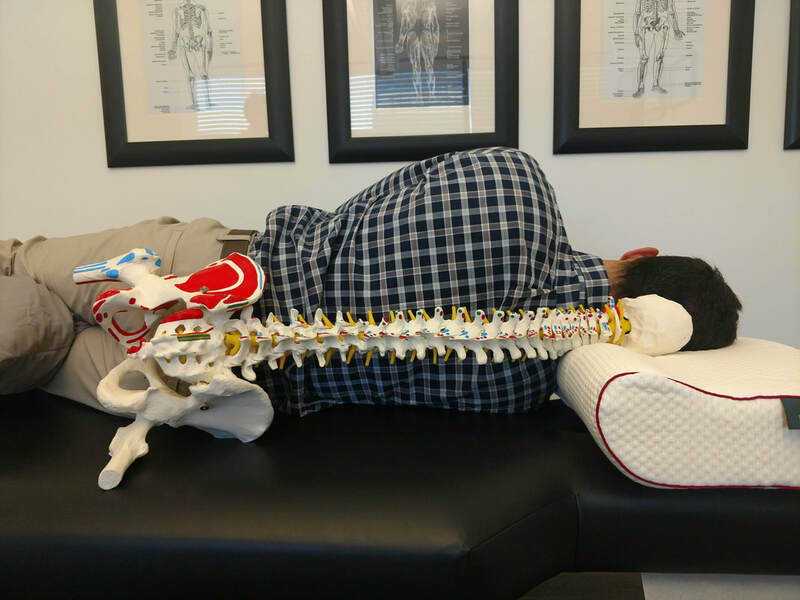 This can cause pain all on its own, and if you have any disc issues such as herniations, degeneration, or spinal impingement this sleeping position can make these more painful. Hips: Because your lumbar spine is forced up by gravity, so are your hips pulled out of alignment. This effect is worse if you don’t have a pillow between your legs. If you have sciatic pain symptoms, achy hip or knee joints, arthritis in any of these joints, take a good look at your sleep position! Neck: Your neck is forced up into the other direction, scrunching one side and stretching out the other. We see similar problems as with a too-small pillow. Over time you might develop thoracic outlet syndrome, neck pain, headaches, numbness/tingling in the arms, weak and or tight muscles, and limited range of motion. Shoulder: This one is a bit easier on your lower shoulder, but, it still isn’t ideal for the good ol' glenohumeral joint. Instead of your shoulders being straight across like a T, you are forcing them into a tilted angle. The upper shoulder will be dragging down on the torso because it is too high, compression the upper thoracic spine. Spine: The spine is again forced into an awkward ‘S’. This time the lumbar spine is being forced down then curving up and over the too-high pillow. This can again causes pain, aches, and exacerbate symptoms of existing spinal problems. Hips: With your lower hip now ‘down’ and your upper hip pulled up, we see that lower hip taking on more weight than it should. You really don’t want the hip joint and knee joints grinding together while you sleep, as it can weaken the capsule, joint, and connective tissues. Doctors recommend between 7-9 hours of sleep. Less than 6 hours a night and your brain is operating the same as it does with a .08 blood alcohol level. More than 9 hours and you are disrupting the delicate hormone cycle in your body. We talk about posture all the time, and how repetitive motions and postures can cause issues in the body. 7-9 hours is a long time to be out of alignment! It is hard to ‘even out’ in the morning and achieve a good posture. Side sleeping does complicate things when picking a good pillow. Everyone has a different body shape so keep a few measurements in mind when picking the right pillow: neck girth, shoulder width, neck length, and distance from base of skull or ear to the top of the shoulder. This is why we support the Pillow-Wise pillow here at the office. We take these measurements of your body and take into account the position you sleep in, along with the firmness of your mattress and come up with the perfect pillow thickness for your specific situation. The best thing to do is get a custom-fitted pillow for your head, and also sleep with either a long body pillow or two smaller pillows for between your knees to take pressure of your hips, and under your arm to decompress the upper shoulder. The spine should be in alignment with your shoulders and hips even. This position will help your muscles relax the most, and you will get your best rest. When something is labeled as a CBD product, it is shorthand for the chemical called Cannabidiol, and is a featured ingredient in these products. CBD can be extracted from plants, or made synthetically in a laboratory. THC, short for Tetrahydrocannabinol, is classified as a Schedule I Controlled Substance, and its sale and consumption is regulated or restricted in most states. There is also a lot of social taboo surrounding THC. THC, is another chemical that can also be extracted from various species of cannabis plants for medicinal and recreational uses. THC and CBD are just two in the chemical family called cannabinoids. There are actually over 100 cannabinoid chemicals that can be extracted from cannabis plants. They are related but have differing effects on the human body, and offer different benefits to medical patients. Not all cannabis plants are the same! Different species and strains of cannabis plant create different levels of CBD, TCH and other cannabinoids. Our Mago Green CBD comes from hemp cannabis, which is distinct from other cannabis plants that are used to create different types of medical treatments or used for recreation. Think of them as cousins. There are many species within the genus of cannabis plants. This is common in the plant kingdom with most plants have multiple species within a genus. With selective breeding we can create further differences between plants of the same species. For instance, let's make an example of plant we can find in the grocery store: Kale! Brassica Oleracea is a genus of plant, the species. Under this umbrella we have different species of vegetables... Kale, Broccoli, Cauliflower, Collards and more! These plants are all very different! They look different, cook different, and have very different nutritional properties. We also know that there are different kinds of kale! 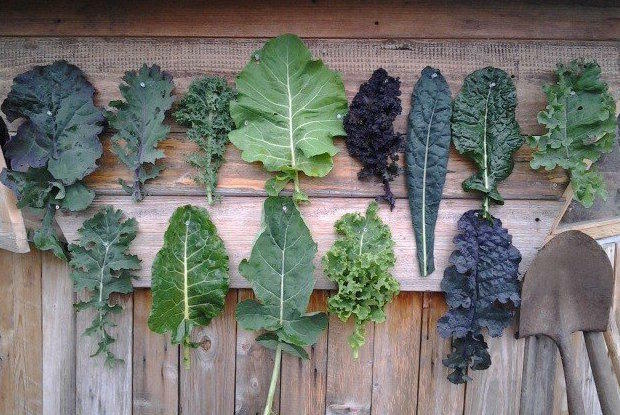 Curly Kale, Red Kale, Baby Kale, Lacinato Kale, Ornamental Kale, Chinese Kale, Siberian Kale, Redbor Kale… Next year there will be even more kale options thanks to clever horticulturalists! Therefore, you can easily understand that the plant we call hemp, though it is a type of Cannabis Sativa, it is very different than other Cannabis Sativa plants that have higher levels of TCH. The hemp we use to make our massage lotion has very high levels of beneficial non-psychoactive CBD. Only THC will get you cause an altered mental state. There is so little TCH in hemp that it is perfectly legal to use, and available without a prescription in all 50 states. You have probably interacted with hemp before! New England was once a major grower and exporter of hemp! We use hemp to make clothes, rope, soap, fuel, food, and more without it being a big deal. So why not in your chiropractic treatment? CBD is awesome! Try it for arthritis, chronic pain, muscle tension, anxiety, inflammation, and is great for your skin! At Norwalk Sports & Spine we use CBD to spot treat problem areas. It pairs well with other manual treatments such as Graston Technique. In our massage we use lotion on the whole body to relieve pain points as well as promote greater systemic relaxation. Next time you make a massage appointment, ask about enhancing your treatment with CBD massage lotion! - Scientific article on Cannabinoids as antioxidants and neuroprotectants. Q: How Do I Get a Summer Six-Pack? A: This question is a preemptive strike. When April and May come around, people always ask for tips, tricks, and exercises to help get a nice summer 6 pack to take to the beach. My answer is usually… Start in February! The exercises we typically assign to build core muscles such as pelvic tilts, glute bridges, planks, and side-planks are extremely effective. Don’t forget to constantly engage your core doing any exercise, standing, sitting, walking, or running to build your core and help your posture. Let’s take it up a notch with our PTA, Stuart, who suggests we strengthen our core with hanging exercises. Get off the floor and find somewhere to hang out until summer! Level 1: Just hang! To do an ‘active hang’ get a good grip on the bar. Engage your shoulders and ‘shrug’ to lift your torso. Straighten your legs and hold them together in a pike. You can engage your legs more pushing your toes into a ‘pointe’ or pulling them up into a ‘flex’ position. Tighten your core and make sure your spine is straight and your hips are aligned with your torso the way you would with a plank. When you can hold this position for 30-60 seconds, move on to the next progression. In addition to working your core muscles, these hangs also help to decompress the spine, stretch the chest, shoulders, and arms, plus strengthen your hands and grip. Level 2: Knees to chest. Start in your active hang position, then, keeping your legs and ankles together slowly bend your knees and draw them up towards your chest. Go as high as you can while maintaining your core. Feel free to start with partial-lift, until you work up to getting your knees higher. Want to make it harder? Lift yourself into a pull up or chin up position while bringing your knees up! Level 3: Straight leg raises. Remember, going slowly and holding your core properly will pay off way more than trying to force the ‘L’ and sacrifice your form. If you can only lift your feet up a few inches at a time, that is still a great start and a great core exercise. Eventually, as you build your strength and flexibility, you will be able to hit that perfect ‘L’ shape. Want to change it up? Try alternating leg lifts, remember to keep both legs pipe-straight, this will work flexibility and strength in each leg individually, and engage your obliques as you work to keep balance. Because you are hanging and not on the ground you are working all your core muscles together, not just one side at a time. It’s a nice change of pace to traditional sit ups and crunches. Check out Stuart in the video below for a demonstration of each progression. I want to stress that the right exercises are only half (that's being generous) of the 6 pack pie, the other aspect is DIET. Good abdominal muscles and core strength are made in the gym, but a great 6 pack is made in the kitchen. Stay tuned for more exercise articles. Do you have a question about building core strength? Email your question to NorwalkSportsandSpine@gmail.com, it might be featured in our next Q & A! Q: What's a Healthy Kid's Breakfast Idea? 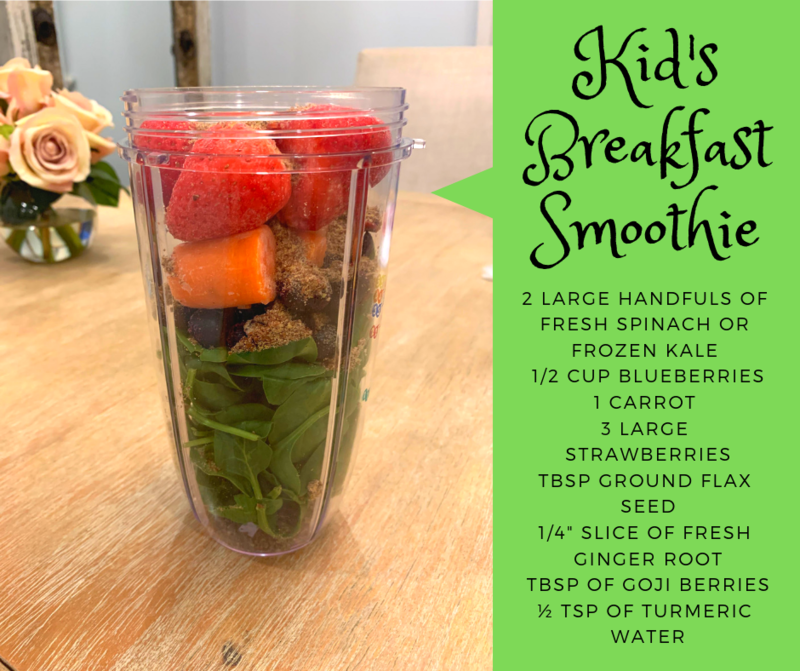 A: This is the smoothie I make for my kids every morning! It’s good for both kids and adults because of it’s many benefits. *Berries are the king of antioxidants. Antioxidants help reduce DNA damage and protect against cancer and ageing. *Ginger is an anti-inflammatory. This smoothie is as effective as an over the counter anti-inflammatory when taken on a daily basis. *Flax seed is loaded with healthy omega-3 fatty acids. *This smoothie has about ½ your daily recommended fiber intake for the day. 97% of Americans are fiber deficient every day! This recipe is sugar free, gluten free, vegan, and my kids love it. For us it is an easy way to start a healthy day. The Norwalk Sports & Spine Blog is for answering your questions! Stay tuned to learn about our practice, health, food, treatments, and more!